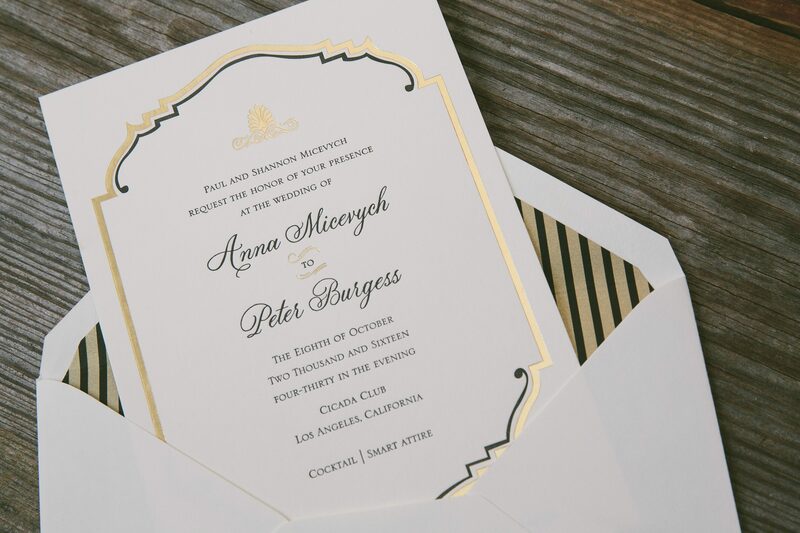 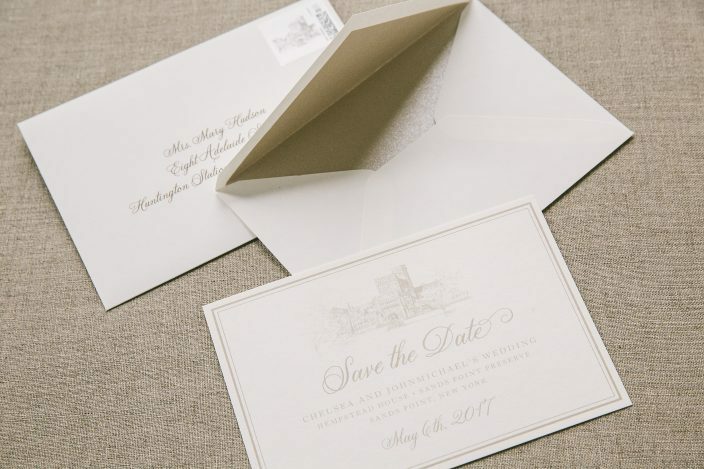 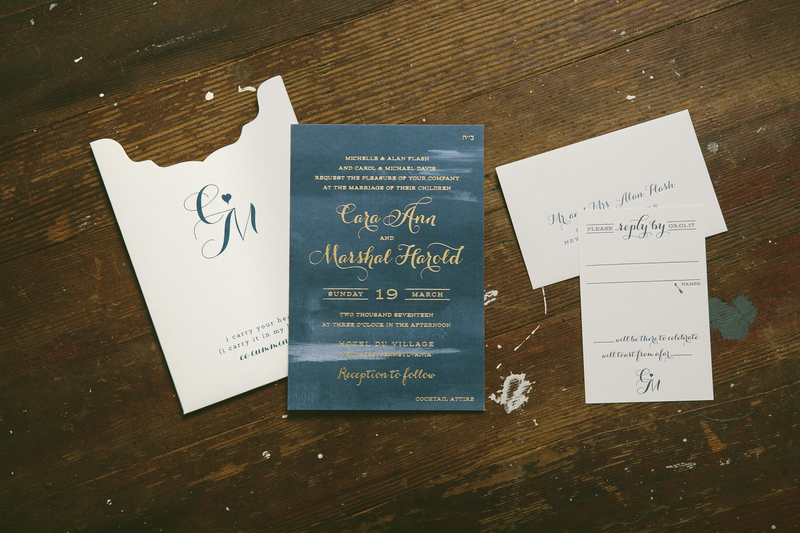 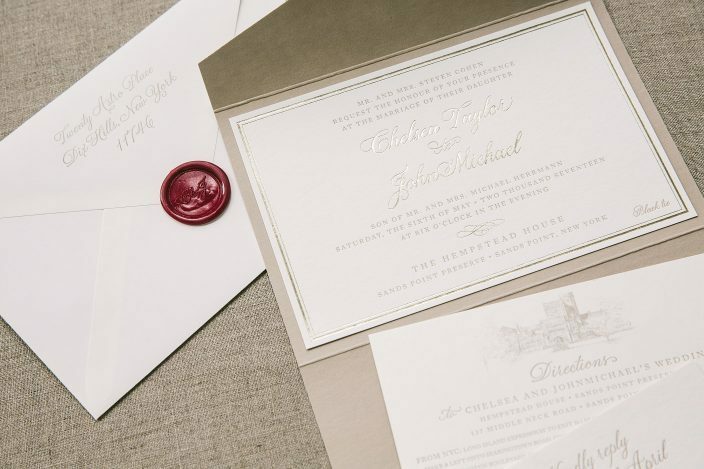 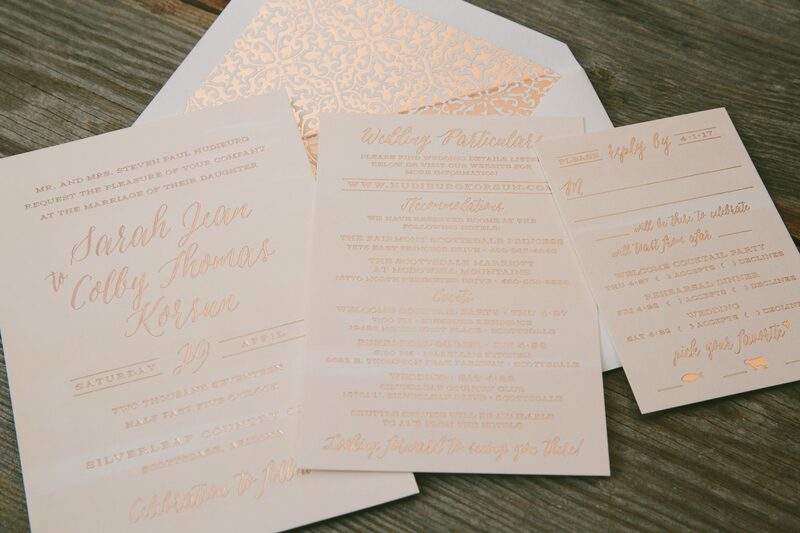 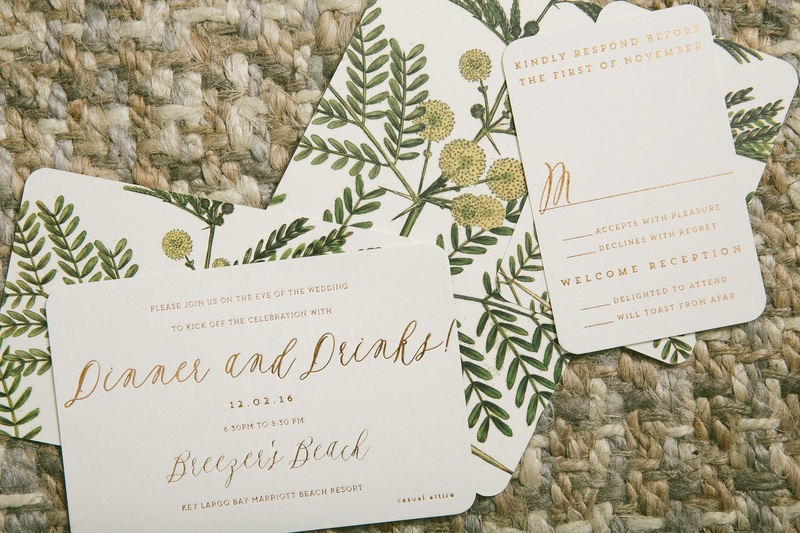 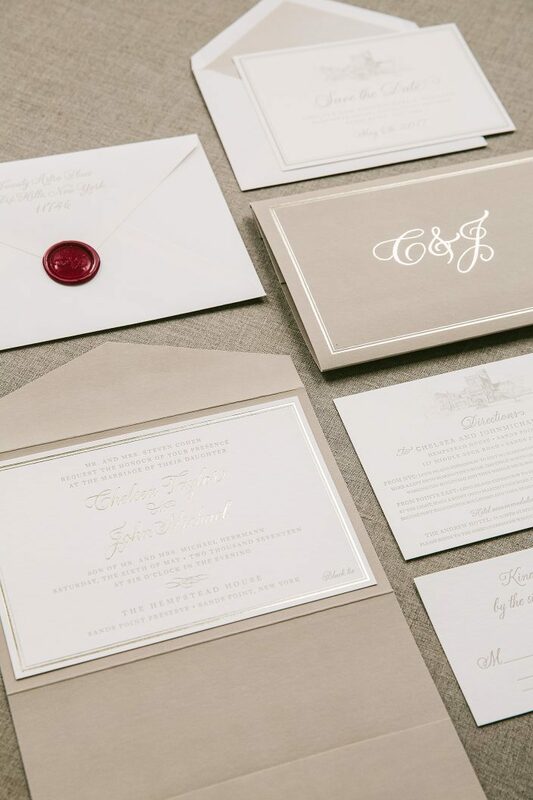 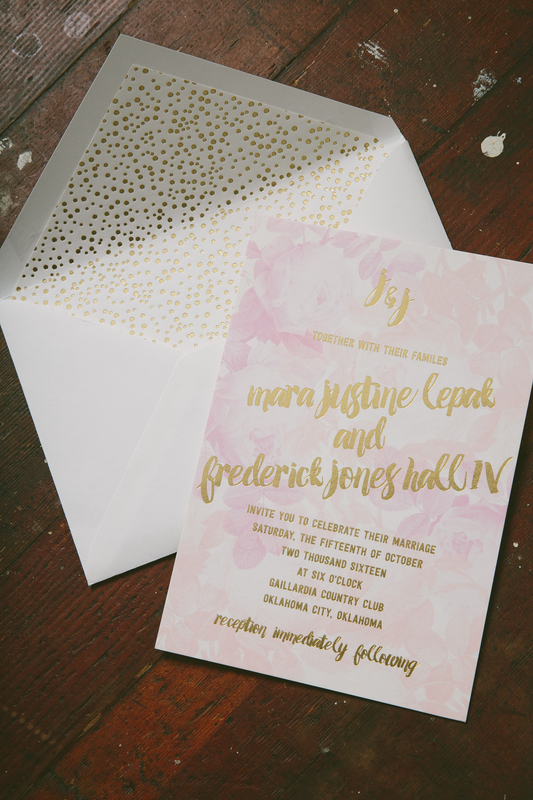 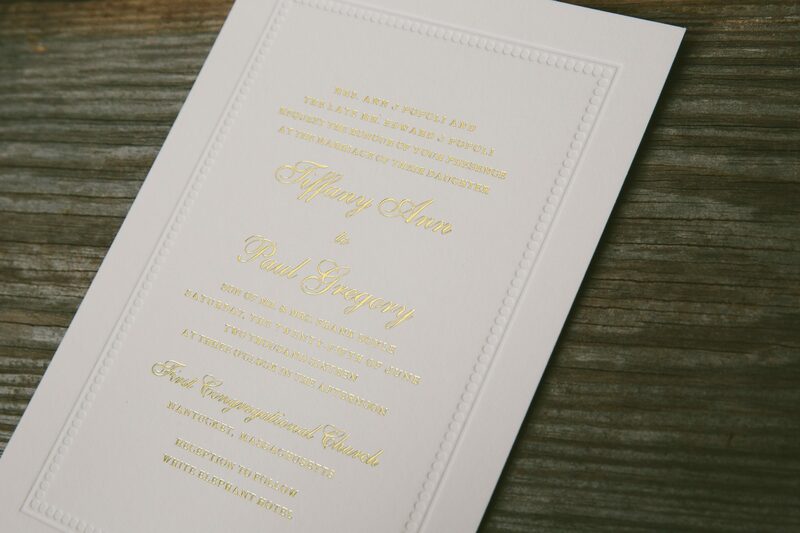 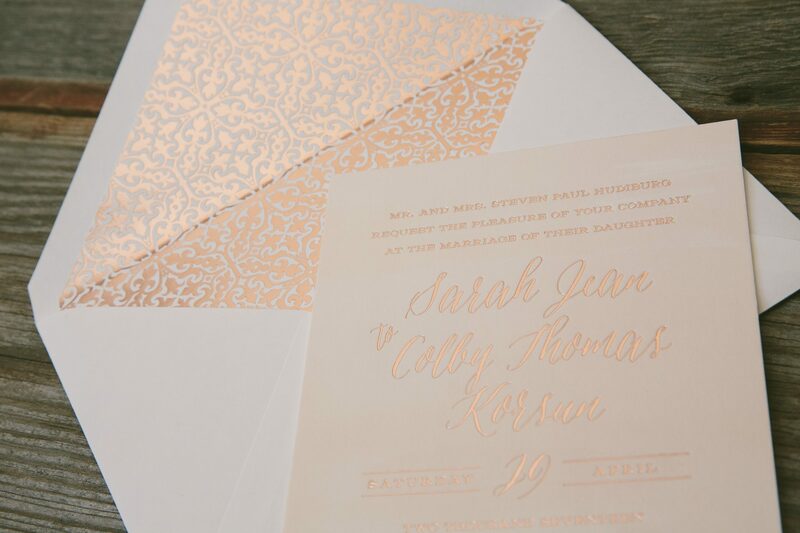 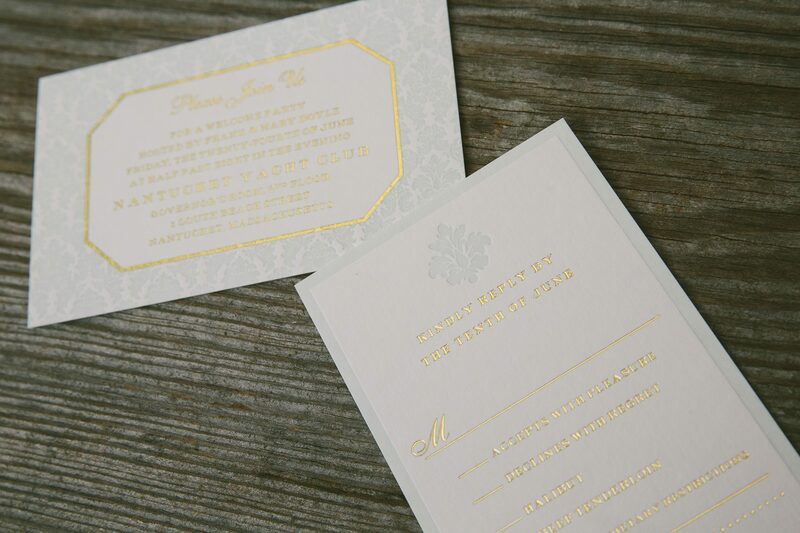 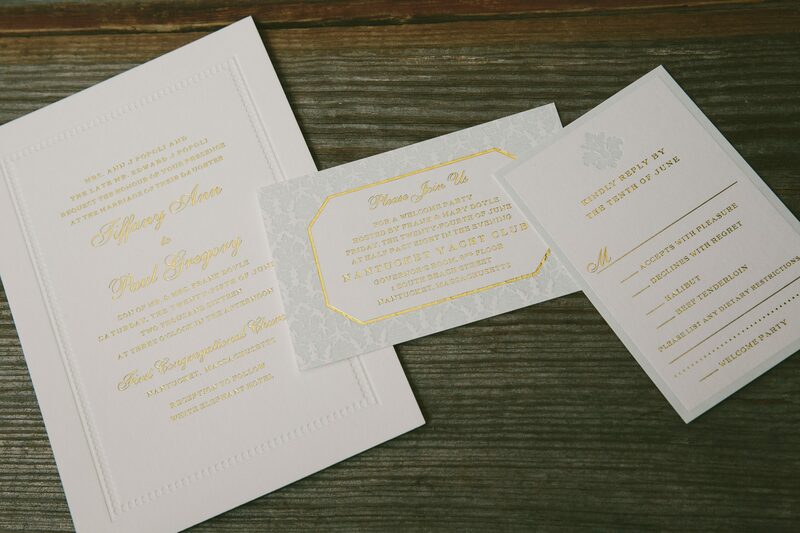 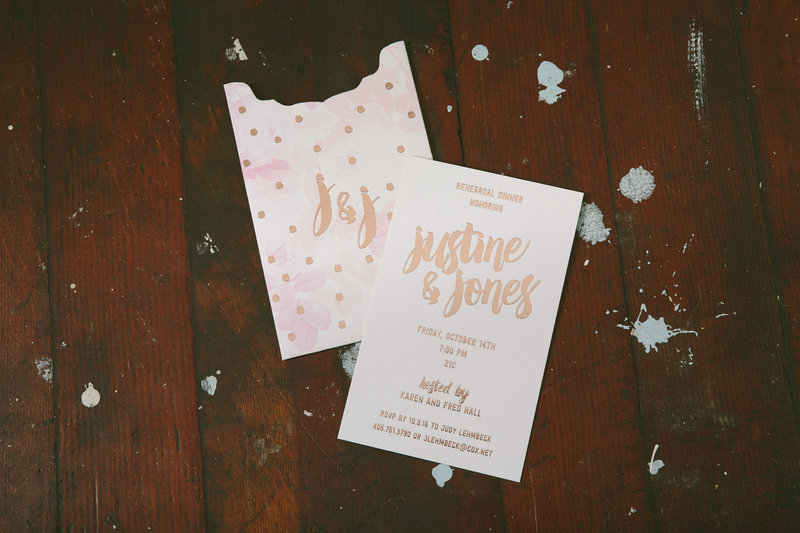 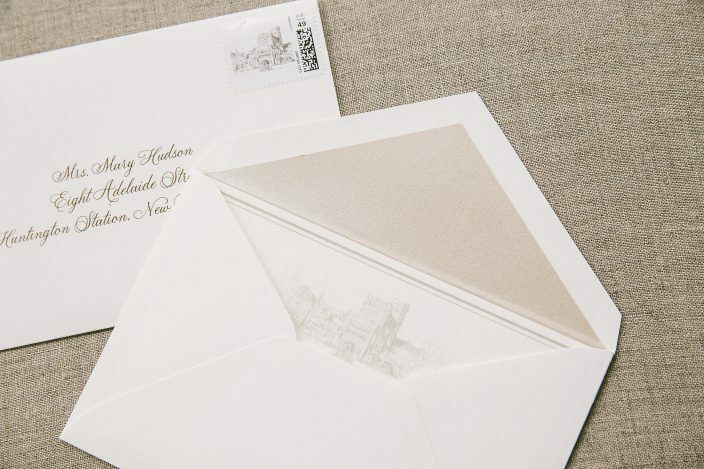 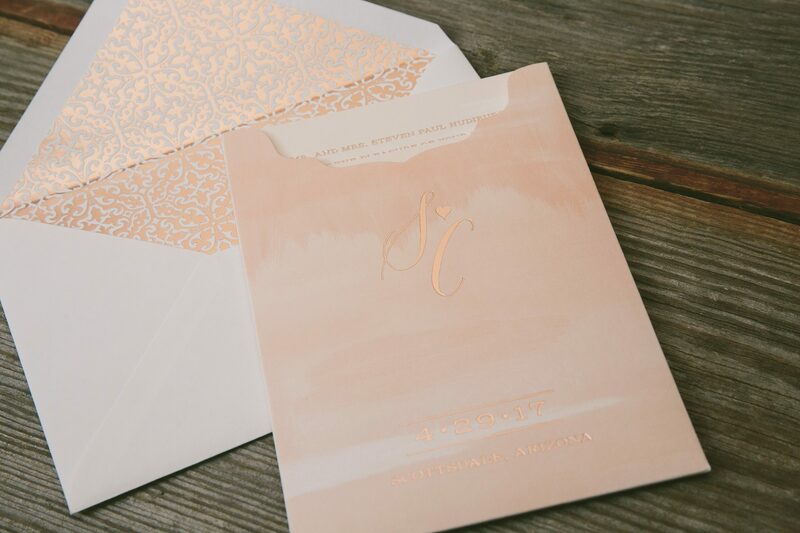 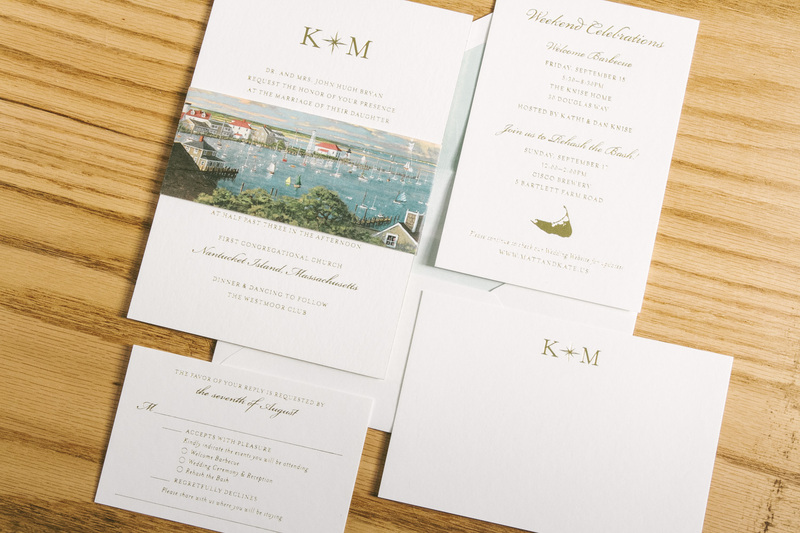 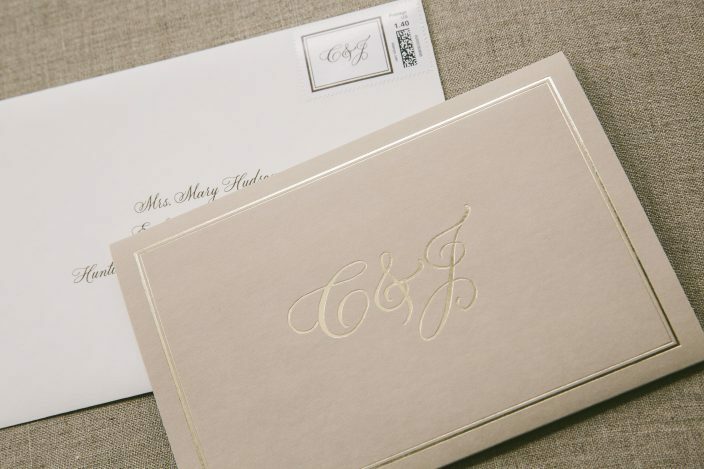 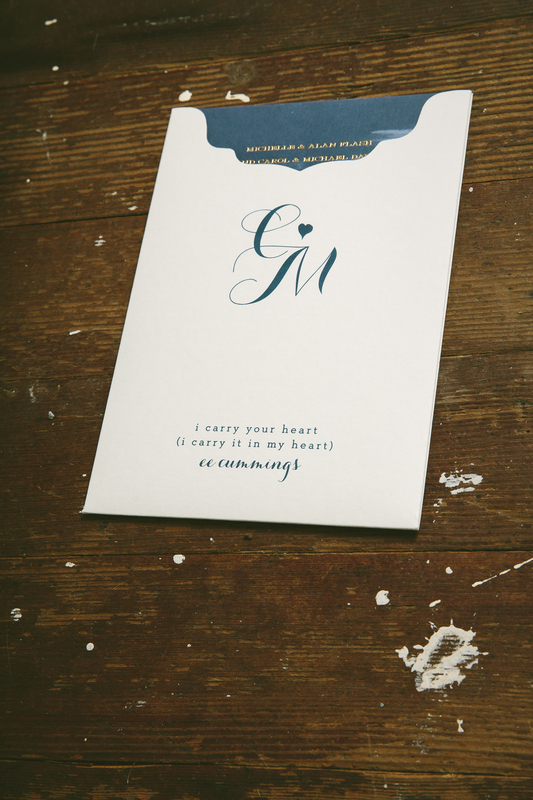 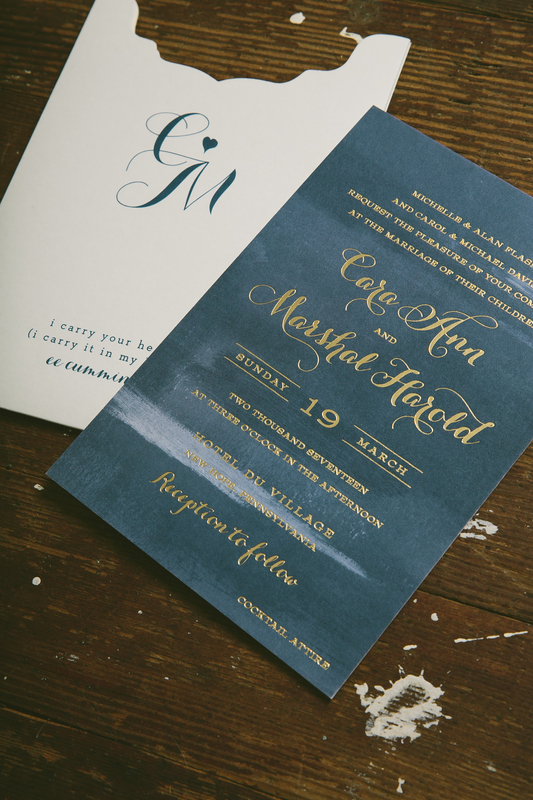 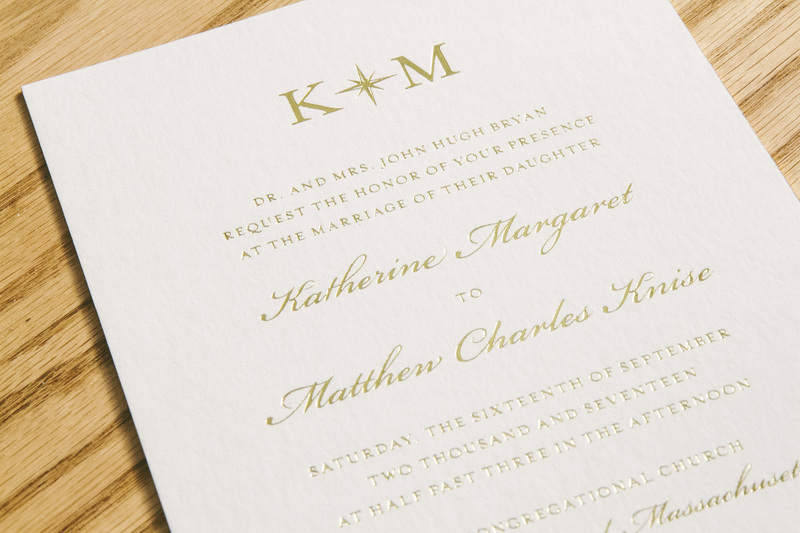 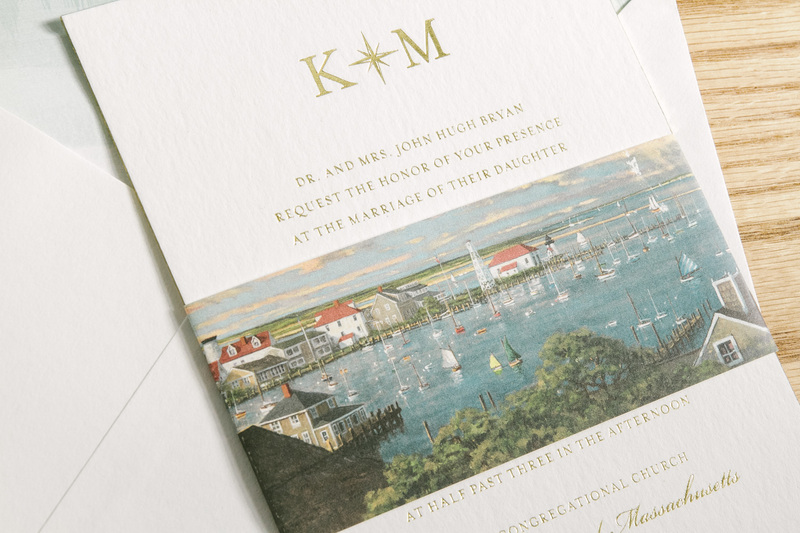 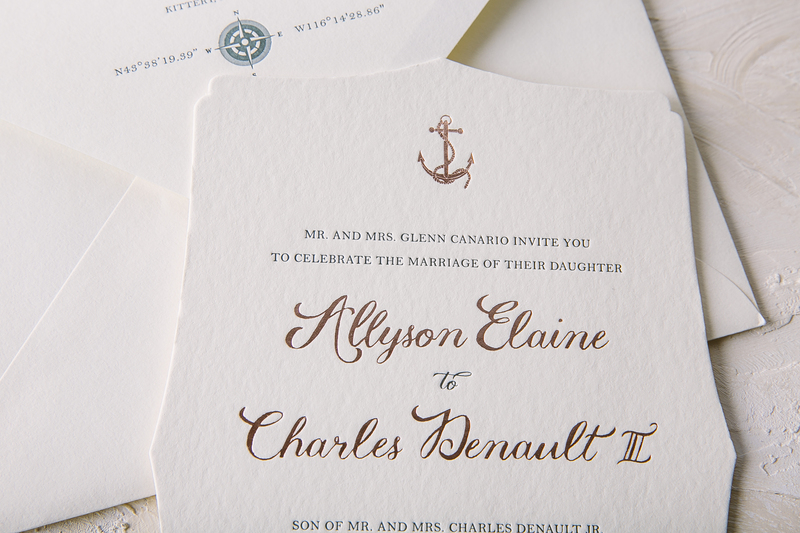 These elegant custom wedding invitations feature a unique combination of both blind embossed and blind debossed florals, making for a beautifully textured design. 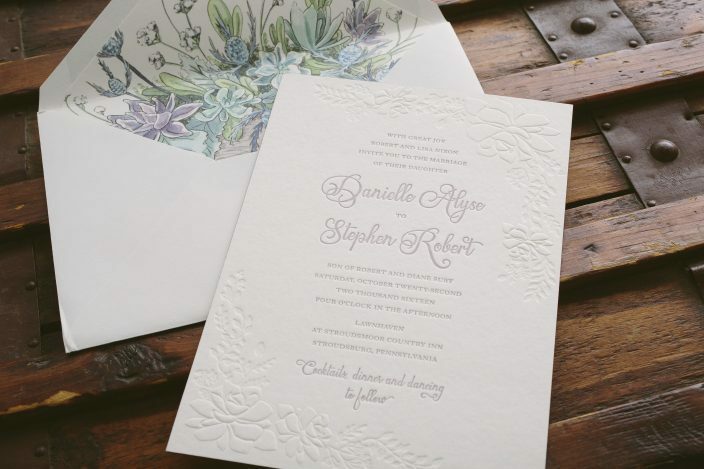 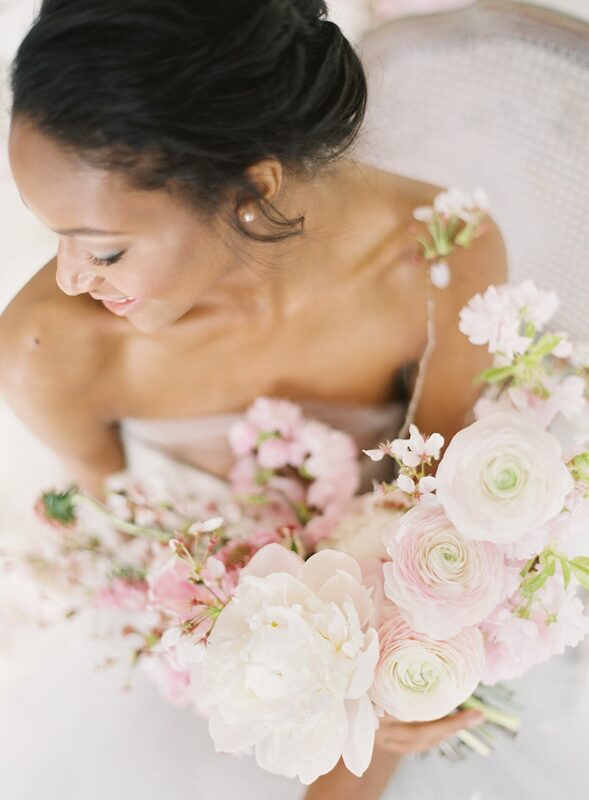 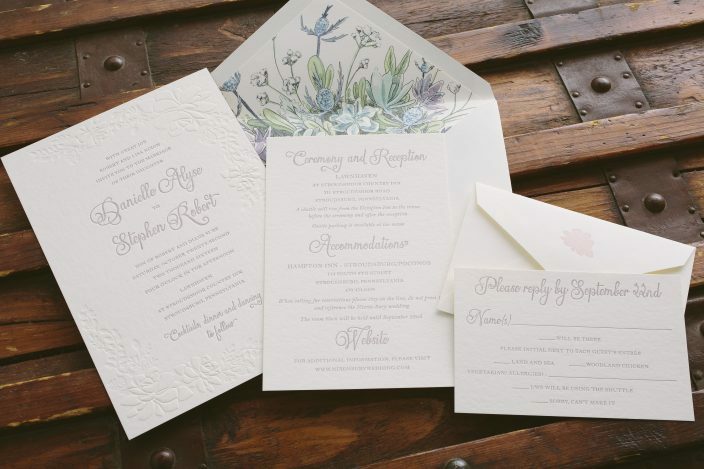 Inside the invitation envelopes, colorful florals and greenery were bursting right off the envelope liners, which featured lovely pastels in shades of blues, greens, and purples. 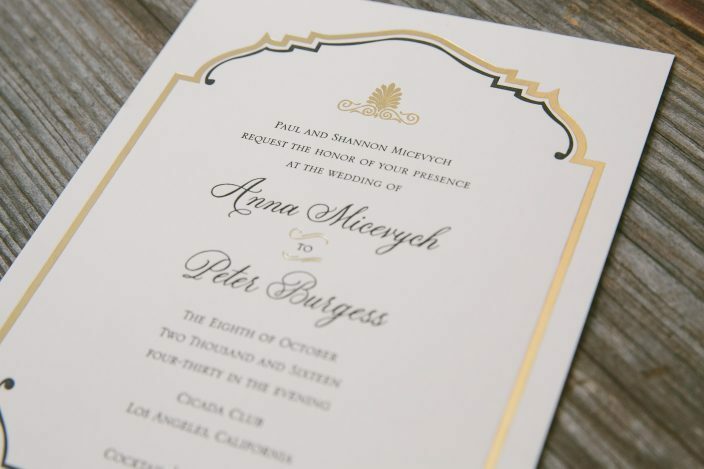 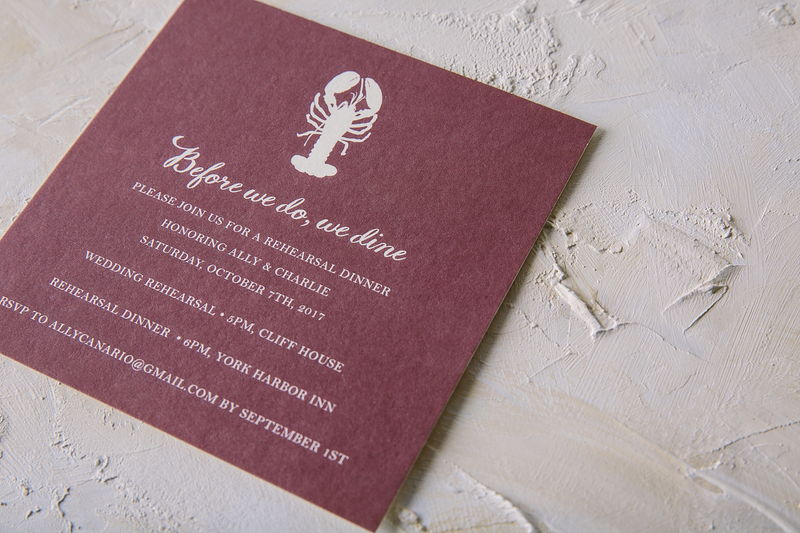 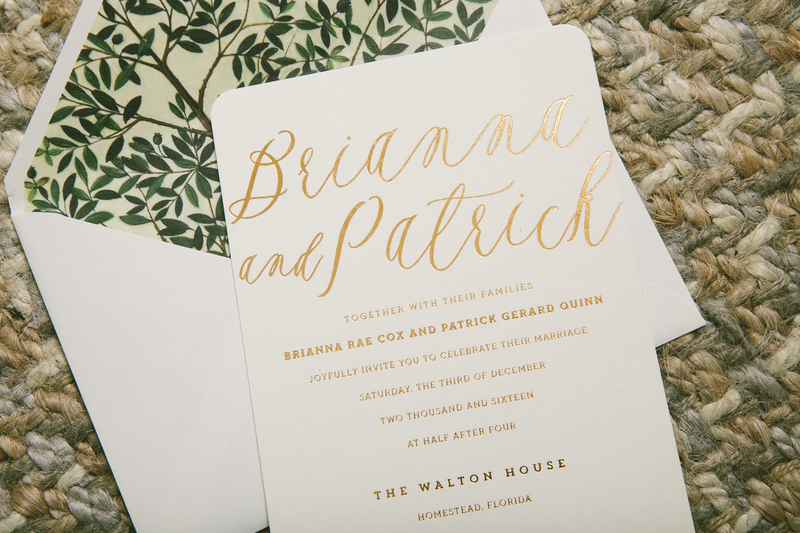 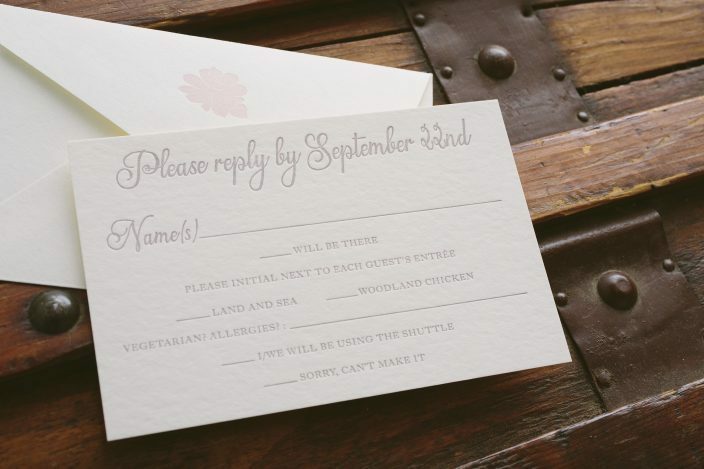 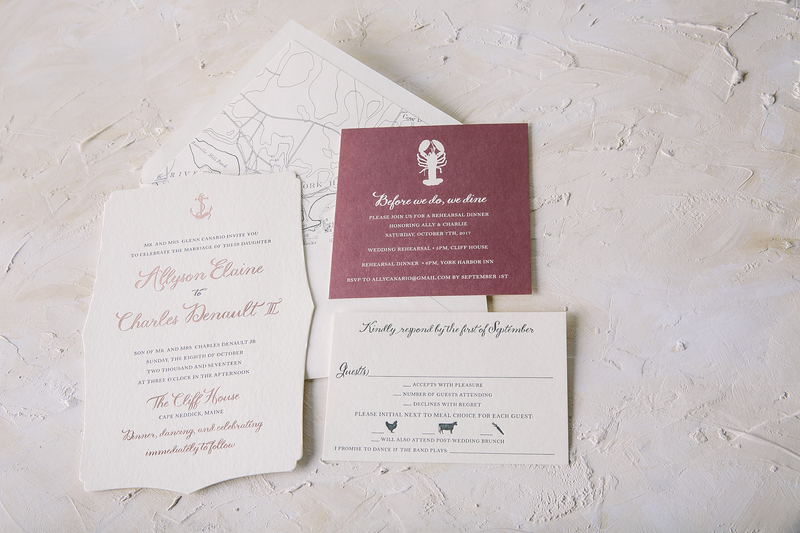 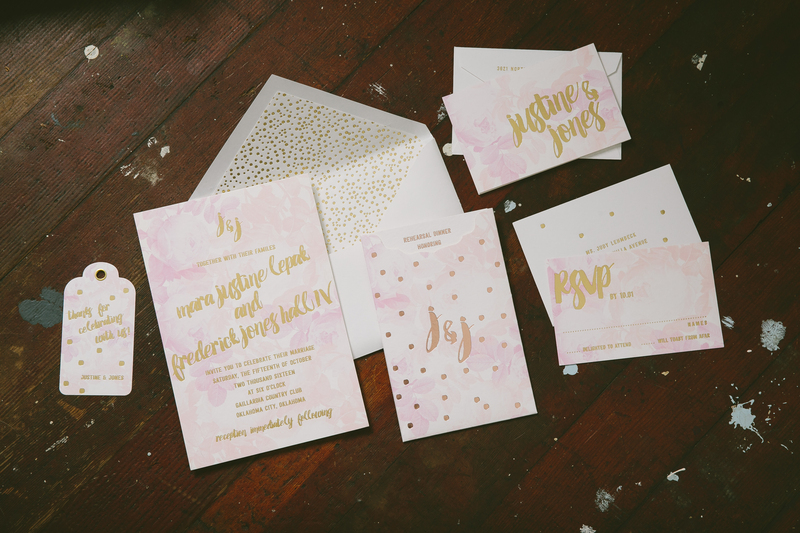 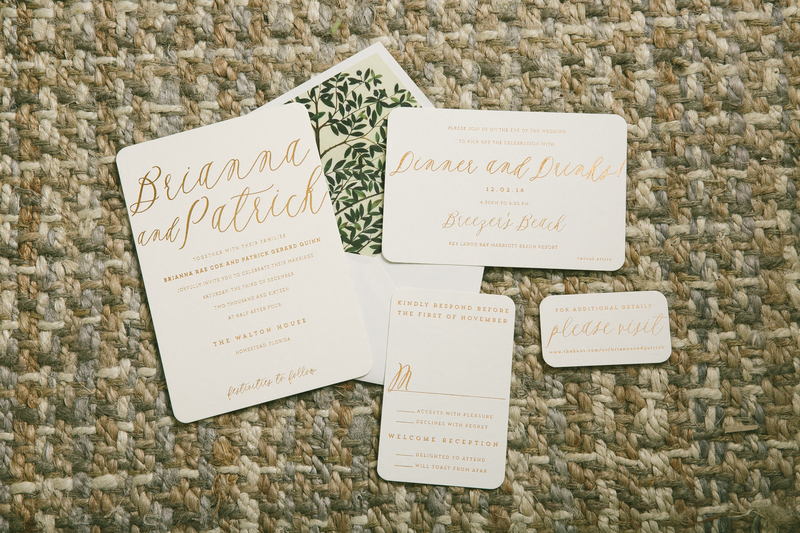 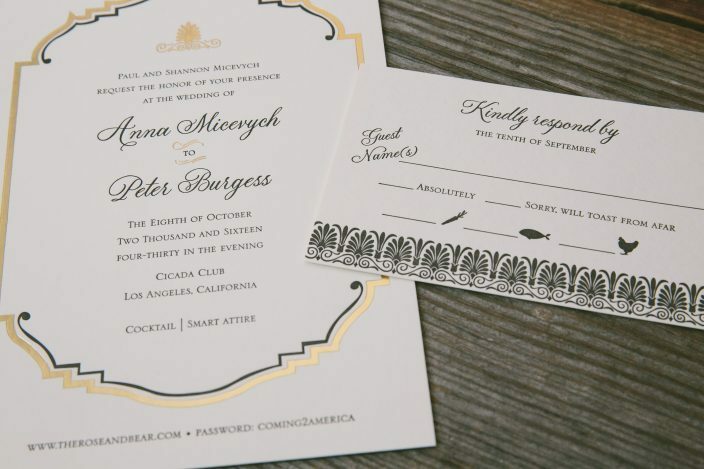 Letterpress printing in wisteria ink was used for the text throughout the suite, accented by a sweet script font to highlight names and key details.